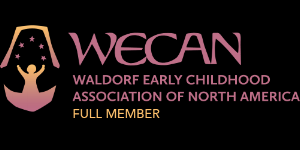 Waldorf education is about to turn 100 years old, and Waldorf schools all over the world will be celebrating, including our school. In order to get ready for Waldorf’s 100th birthday, I have had the pleasure of researching our alumni for the school’s database and thought I would share some of what I learned. Some of our own alumni have their children at our school! We are very grateful to these former students who learned first hand how incredible a Waldorf education is, and chose to have their own children here. It takes commitment, and often sacrifice to have your sons and daughters at a Waldorf school. We appreciate the effort they make to provide their children with similar experiences they themselves have had. As one might imagine, some of our alumni are in the performing arts. One young woman lives in Spain and is a musician. Her gigs are held at large venues, and she is famous in Spain. One of our alumni family is an actor and two are actresses, one of whom was in an episode of NCIS (Naval Criminal Investigative Service). One of the stars of NCIS, Mark Harmon, commented on her lack of addiction to her cell phone. He was impressed that she did not run to check messages like many of the other young women did during breaks while shooting the episode. Some Waldorf School of Cape Cod graduates are involved in or employed in the political arena. One graduate worked on the National Presidential Election in 2016. His candidate lost the election, but he gained valuable experience. Despite the disappointment for his candidate, he is being sought after to return to Washington, DC to work once again in the political arena. There are also a few scientists and engineers in our alumni family. One former student is still attending college and majoring in engineering. One of her Junior-year projects was a building design that was approved and will be utilized to construct a building at Logan Airport in Boston and at Laguardia Airport in New York. Not surprisingly, many of our students are attracted to work in the area of community and national service. A few alumni work at Camphill communities in Ireland and in California. Camphill is an international movement of intentional communities designed to meet the needs of children, youth and adults with developmental disabilities through a combination of community life, the arts and work on the land. The Waldorf School of Cape Cod is also credited with having an alumnus who will be beginning his teaching career this September at the Waldorf School in Lexington, Massachusetts. A former student of ours is a Knowledge is Power Program (KIPP) Founder and School Leader. KIPP is a nationwide network of free open-enrollment college-preparatory schools in under-resourced communities throughout the United States and are usually established under state charter school laws. KIPP is America's largest network of charter schools. A few of our former students are also public school teachers. We are keenly aware of two former students who have joined the military. September 11, 2001 was a pivotal moment for our country; these two young men said that they wanted to give back and be part of something that was greater than themselves. One of our alumni is a fiber artist who worked in NY City and is currently located on the West Coast. We also know of former students who have “white-collar day jobs” but have either hobbies or second jobs in the arts. For example, one of these students enjoys photography in his free time and one is a videographer and photographer. It would be remiss to not mention those alumni who have sadly passed on at too young an age. The Waldorf School of Cape Cod strives to keep their memory alive by thinking about them and meditating on their all-too-short lives and how blessed we are to have had them at our school and in our community. We are extremely proud of all of our former students and would like to stay in contact. Alumni students and parents are invited to visit our website and fill out the Contact form to tell us about yourselves and each other. It has been an honor to hear back from so many alumni parents telling us about their children. I will be leaving the school in June but hope to read about WSCC alumni in Watermarks, the WSCC’s weekly newsletter. It has been an absolute pleasure to update the alumni database and to be a part of this school community. I will truly miss my colleagues, parents and especially the students. Nancy Garvey has worked at our school since 1999. She assisted in the kindergarten for one year, became the three-day nursery teacher for one year, then taught kindergarten in the Morning Glory Room for close to two decades. She has served on the Board of Trustees, on the College of Teachers and on the Leadership Council and also worked briefly in Administration at the Waldorf School of Cape Cod.